Pireta has developed a unique process to add durable, flexible interconnecting electrical sensors to textiles without changing fabric feel or performance. Conductivity is key to incorporating sensors, controls and communication into wearable devices. Smart textiles sectors include emergency services and defence, fashion, athletics and elite sports, RFID tagging and healthcare, medicine and bio science. Pireta’s unique additive process adds conductivity to fabrics at any stage – from yarn through to completed garment. 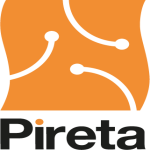 Pireta’s technology was developed at the National Physical Laboratory (NPL), a partner in UK Innovation & Science Seed Fund (UKI2S). The technology ensures best-in-class conductivity with no impact on garment performance, drape or handle and enables truly ‘wearable’ technology, where current discrete devices in the future will disappear and be built into the clothes we wear on a daily basis. UKI2S works closely with its partner laboratories to identify commercial opportunities arising from their world-class research. We assist in the growth and development of science based companies developed in public laboratories, science and technology campuses and synthetic biology. 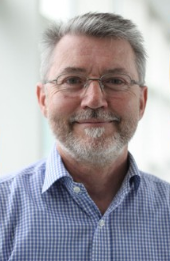 UKI2S’s Fund Principal, Dr Andy Muir, was involved prior to Pireta forming as a company – defining the market and building out the business case; negotiating a licence to the technology and access to NPL facilities; and then, providing initial start-up capital to set up Pireta. One of UKI2S’s former portfolio CEOs became interim chairman at Pireta and Andy helped recruit a finance director and hired Pireta’s second, a PhD chemist. Two of the leads identified in the initial market analysis were converted and paid for feasibility studies. Collaboratively, we worked with the Board to plan a financing strategy, which included securing a grant with one of the Catapult centres, which is also aligned with UKI2S. Pireta went on to raise a £500k seed round early in 2018 and the company is poised to make rapid progress in the months ahead. For more information, please visit www.pireta.co.uk.